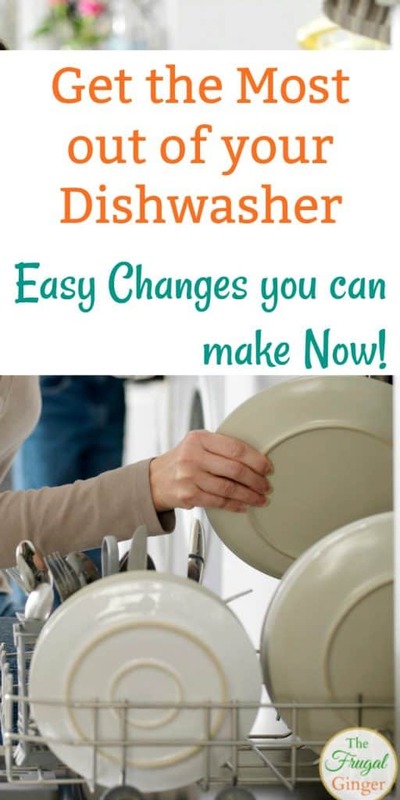 Dishwasher Tips and Tricks: Easy Changes you can Make Now! 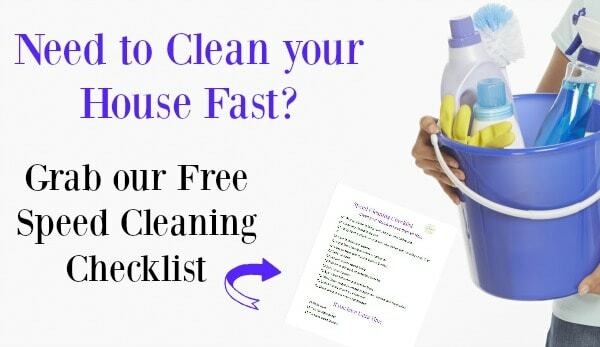 You are here: Home / DIY / Cleaning / Dishwasher Tips and Tricks: Easy Changes you can Make Now! 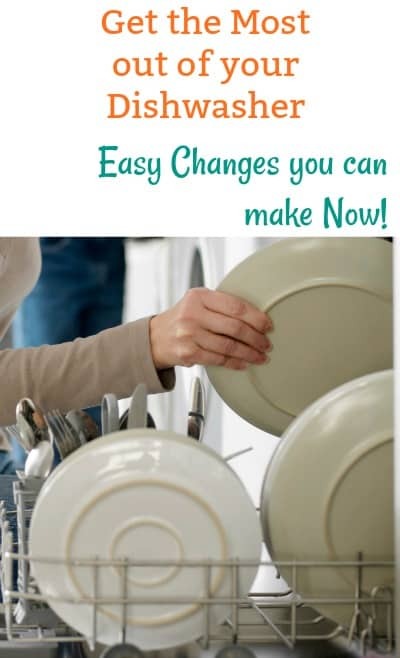 I love using these dishwasher tips and tricks to really get the most out of my dishwasher and make it more efficient. We all want clean sparkling dishes but don’t want to spend all day hand washing them. That is why I love using my dishwasher, but to be honest, it wasn’t getting my dishes as clean as I wanted. I quickly learned that it was user error. There were things I was doing, or wasn’t doing, to really get the most out of my dishwasher. By making a few dishwasher tips and tricks and making easy changes to my dish washing method, my dishes now come out clean, dry, and without any nasty residue. I thought that with the holidays quickly approaching, this would be a great time to share some dishwasher tips and tricks with you. I’m sure you will have many parties and holiday dinners to clean up after. 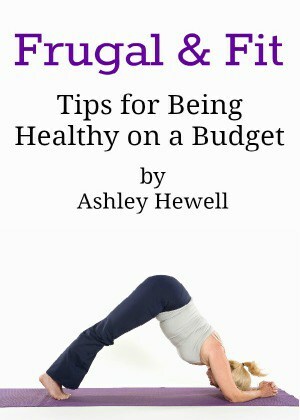 Hopefully, these tips will help! You can wash your steak knives but I suggest hand washing your good knives so the blades won’t get dull. Leave about 2 fingers width of space between your dishes so that water can get to all of them. Put plates, pots, and pans on the bottom rack while using the top rack for glasses and small containers. After you have loaded your dishes, give the spray arms a little nudge to make sure that they spin properly and nothing is blocking them. Stagger your cutlery. Alternate forks and spoons with some handles up and some down. This will prevent them from nesting together. Also, load your steak and butter knives with the blades facing down. Place your dishes facing toward the center so they can get a full blast of suds and water. The normal cycle is fine for everyday use. Use a heavy cycle for tough baked-on food. You may even have the option for a quick cycle on your dishwasher for lightly soiled dishes. This will help save time and money since you are using less water and running at a lower temperature. Most modern dishwashers are designed to tackle even the worst stuck on food. It is best not to pre-rinse your dishes so that the detergent will have something to “grab” on to. There are so many other uses for your dishwasher besides cleaning dishes. If you are making a large potato dish, you can wash your potatoes in a dishwasher all at once, saving you precious prep time. You can also wash kids toys, especially bath toys, to disinfect them. It can even clean your rain boots, flip flops, and tools! To get the most out of your dishwasher, it is important that it is properly maintained. Food bits get flushed through the filter so make sure you clean it regularly, or it could start to smell. One easy way to clean your dishwasher is to put vinegar in a plastic container on the top rack and run it on the hottest cycle possible to remove the dirt and grime. 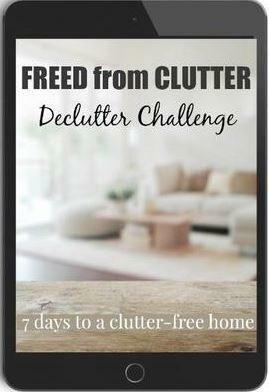 If you want some more great tips and encouragement to get your home clean and decluttered, you can check out my friend Becky’s Freed from Clutter course and challenge. These dishwasher tips and tricks are some easy ways you can get the most out of your dishwasher. Always make sure to read your manual for suggestions on loading, cleaning, and the proper detergent to use.